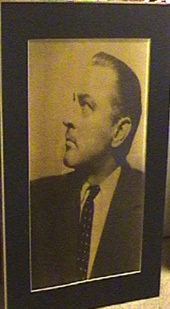 The Barrymore family has long fascinated me, and I decided to do some genealogical research on them as well. I decided to make my research available to others who are interested, and had a website made for that purpose. Would you like to advertise on this website? Email Bruce here. As I was working, the project expanded to encompass the Drew, Blyth, Costello and Lane families as well - all of them actors! 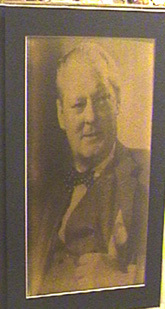 The results of my research can to be found: Barrymore website click here. 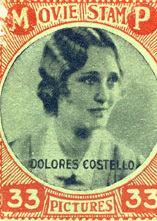 After several years of having the website someone interested in the old photographs by offering merchandise. Saint Francis Assisi is the man and saint whom the City of San Francisco was named after. The photograph below is John Barrymore as Saint Francis Assisi in 1917. This photograph was taken ten years before motion pictures would develope sound and an eleven years after the earthquake. How would you like to purchase a T-Shirt of John? 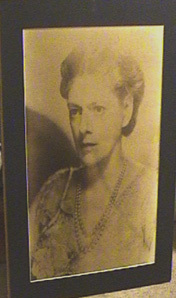 CLICK HERE FOR Ethel Barrymore Store with this portrait. CLICK HERE FOR Maurice Barrymore Store. CLICK HERE FOR John Drew Store. CLICK HERE FOR Sarah Bernhardt Store. CLICK HERE FOR John Barrymore Store as Saint Assisi.